One who raises his voice when he davens is among those of diminished faith. 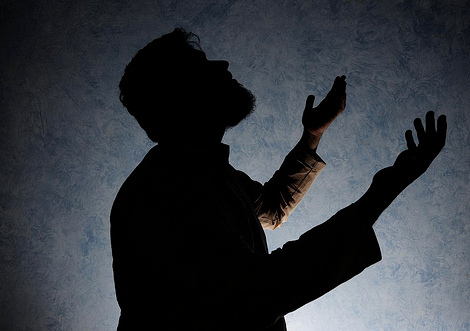 Raising one’s voice in prayer is considered a demonstration of diminished faith in God. According to Rashi, the reason for this is that the person seems to be showing that he thinks that God will not listen to his prayers if they are spoken softly. We should not interpret this statement literally. After all, only a fool would think that God only hears prayers at a certain audible level. This is not what the Gemara is discussing. 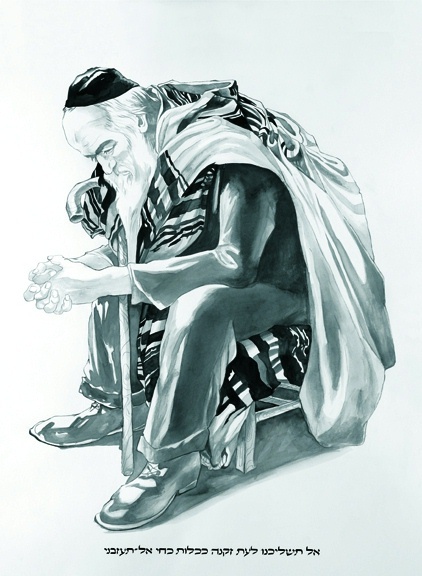 Rather, the Gemara is referring to a person who davens regularly, but he feels that his prayers are not answered. There are two ways of reacting when this happens. One conclusion is to understanding that God, in fact, does respond to prayers, and that He cares about every person and every word directed towards Him. It is just that God has determined to not grant the request at this time, due to His system of perfect justice and due to His mercy. The other conclusion a person might consider is that God is not listening to him. A person whose prayers are “denied” might feel abandoned, and therefore daven more intensively. A person might then hope that this, in and of itself, was the problem. The raising of one’s voice due to the feeling that God has been ignoring the prayers which were spoken softly is a function of a deficient understanding of God’s willingness to hear prayer. The lesson of this Gemara is that we must strengthen our trust in God and in the knowledge that He cares about each of our prayers. God is continually monitoring every aspect of our willingness to call to Him, and although the answers to our prayers are not always discernible immediately, nevertheless, God responds in a manner that is always in our best interests. Any misunderstanding of this concept may lead to unnecessary hopelessness. Is this all just a test, then? Is God being deliberately silent just to see how we’ll hold up under pressure. That seems kind of cruel, don’t you think? Is that all life is…a test? This is why many people refuse to come to faith. It’s not because religion is “irrational” or “absolute” or “superstitious.” It’s because faith means you don’t have control of God. That seems to also mean you don’t have control over your own life. When we say “God is in control,” we’re admitting that we aren’t. Depending on who you are and how to perceive the implications of that statement, it can be either comforting or horrifying. If you trust God implicitly, knowing that He loves you and desires only good for you, it is ultimately comforting to know that God is in control of the universe, rather than a bunch of capricious, double-minded, self-centered human beings. On the other hand, if self-determination and self-direction are the values you prize above all else, imagining yourself turning over everything to a distant, supernatural (and probably fictional) entity would feel like discovering that the pilot of the airplane you’re travelling in, 36,000 feet above the earth, is a chimpanzee. You’d have absolutely no control over your fate and your doom would be completely assured, unless you could wrest the controls away from the simian and back into your own “competent” hands. It is in the dark and empty watches of the night, when the voices are all stilled, and your only companion is your doubt, that who you really are in God is revealed. It is not actually a test anymore than any other challenge or frustrating experience is a test. It’s simply how life works. Some days are better than others and you feel the closeness of God as He seems to walk with you during every waking moment. Some nights are worse than others and it seems as if God is long gone from this mortal sphere, and you have been cruelly abandoned. And even then, unless your faith and trust is totally exhausted and you walk away from God as you believe He has walked away from you, you still search the night for Him. You look for God in your dreams. You seek Him out in your fears. You hope He’ll appear with the dawn. You call out His name in a whisper. And then you find Him when you are completely distracted by the needs of others. You find God in the simple acts of kindness you do every day. You discover your Maker in your gifts to the poor, or the smile on a grateful face. God finds you when you aren’t even looking for Him. I find “searching higher paths on the mountaintops” is where I best find awe & humility, by seeing my tiny part in Creation. this makes giving “gifts to the poor, or the smile on a grateful face”.. or whatever the Spirit leads me to do moment by moment much easier. You and Heidi are always on the highest mountaintops. God created you both to reside there with Him. I believe that the sacrifices where instituted to show the means God saves sinners. The blood of an innocent victim. Thanks for the clarification, Dan. Couldn’t figure out the connection for a moment.